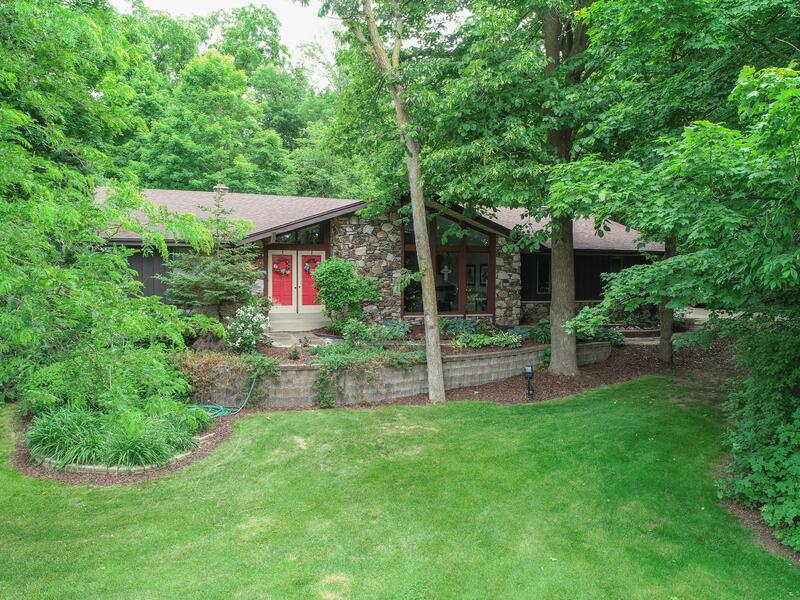 Beautiful, Well Maintained, 4BR Contemporary Ranch home on spacious 3/4 Acre private Lot in Heather Ridge Subdivision!! Ray Prell Design. Freshly Painted Ext. Spacious sunken LR w/cathedral ceilings, huge front wins. DR w/built-ins. Updated KIT w/new stone backsplash, granite counters, & updated cabs, ceramic tile floors, recessed lighting, bay win. Family Rm w/stone GFP, new insert, patio drs. 4 Spacious BR's, MBR w/updated MBA. Full BA w/new tile surround. New Doors. 1st Fl utility. Huge RecRm w/bar, full size wins. Awesome private yard w/shed, Heated Inground Pool, hot tub. MUST SEE! !